Budget friendly tips for your home. I won’t pay for the “grilled” chicken that is already in a bag. 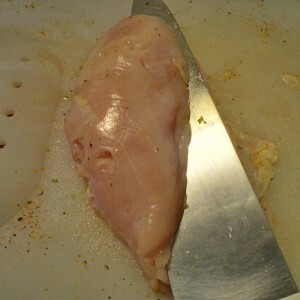 I buy a large quantity of chicken breast and cook it all up at once. I slice or chop and freeze it, then pull out what I need! 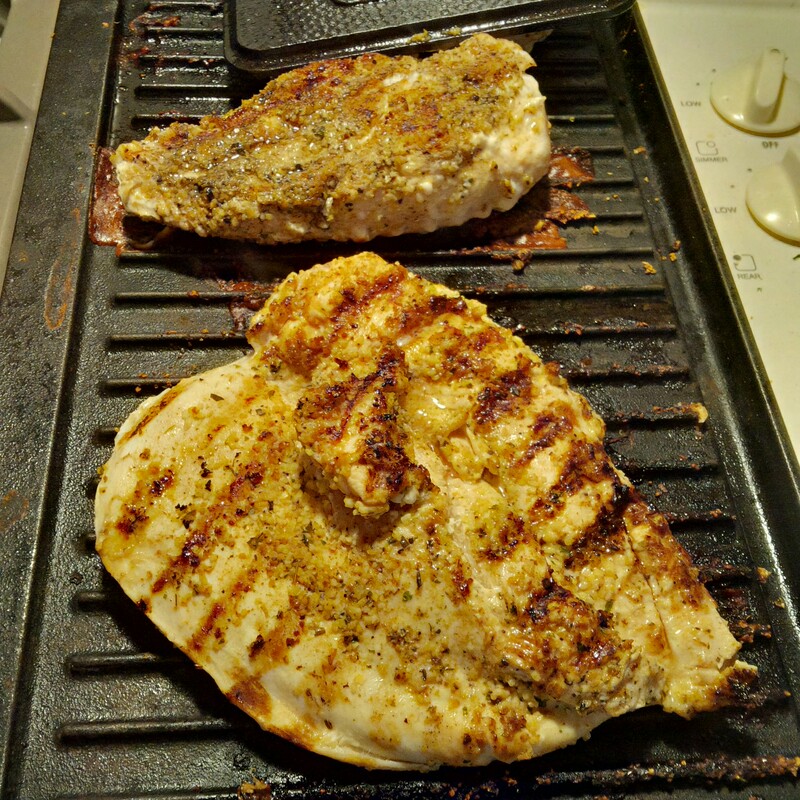 If you have a grill you can use that, but I cook it on my grill pan on the stove. Here is what I do step by step. It takes me about an hour from prep to washing pan. 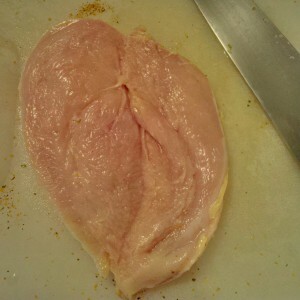 Then I butterfly all my breasts so that they will cook more evenly and quickly. Just slide your knife halfway through the thickest part. This is what it looks like when you flip it open. I salt and use whichever seasoning I have on hand at the moment. 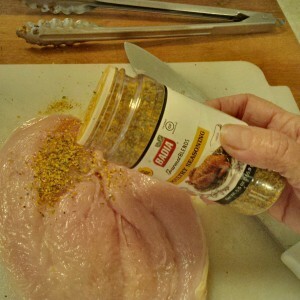 You need to use quite a bit of seasoning and press into chicken as it will fall off a bit from cooking. You could also just use salt and leave off the seasoning until you use it, but I find I enjoy the flavor more this way. This is what it looks like when I flip it over. 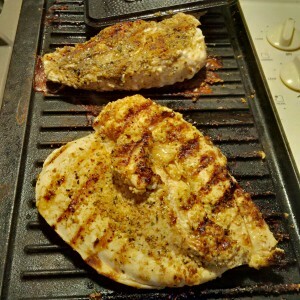 My grill pan is well seasoned and I don’t use oil to cook my chicken breasts so that they are the most versatile for use in later recipes. The juice in the chicken will help it release from the pan. If it doesn’t release, then it usually isn’t ready to be flipped over. I take my chickens temp to test if it is fully cooked in the center. There is a chart for meat temp here. Hope you enjoy this little tip and how to! My daughter Kelcy had to write a report for school. I think that she did a pretty good job even though she is my daughter! 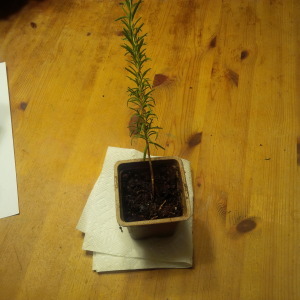 Rosemary is semi-hardwood that has an almost pine-leaf appearance, and bracing herbal aroma. 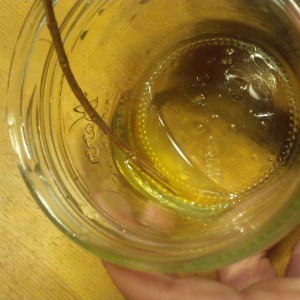 The mint relative has a long history of both medicinal and culinary use, and was believed to be particularly beneficial for memory enhancement. Though native to the Mediterranean, rosemary cultivation spread to Europe and America, where it grows well. It is considered a drought tolerant plant and is well suited for the soil here in Texas. The herb pairs well with roasted vegetables, meats, and poultry, grilled Fish, and cheese. It is also an excellent enhancement in rustic breads; rosemary oil is also good for preserving food. Rosemary is a perennial plant growing all year. 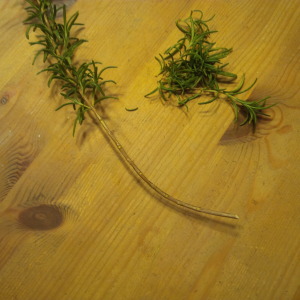 Rosemary usually blooms in the summer when it is sunny and warm. Rosemary is a full sun plant needing lots of sun throughout the day. 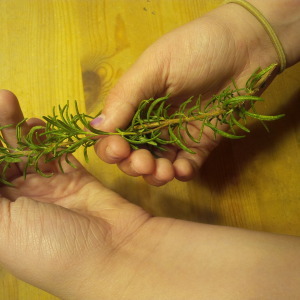 Taking care of rosemary is very easy, I personally think that you can ignore it for weeks on end and it will be just fine. Once established they need very little water but checking on it weekly is best. There are several ways to propagate rosemary, seeds, and cuttings. I chose to use the cutting method as it is easier and quicker than growing from a seed. The next page includes a step by step guide on propagating from a cutting. I chose rosemary because my family cooks with it often and it has an amazing aroma. 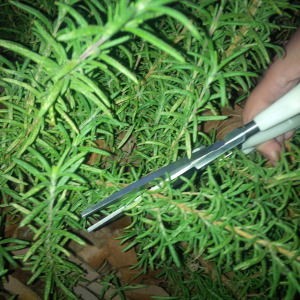 Cut a long piece of rosemary from the base of plant. 2. 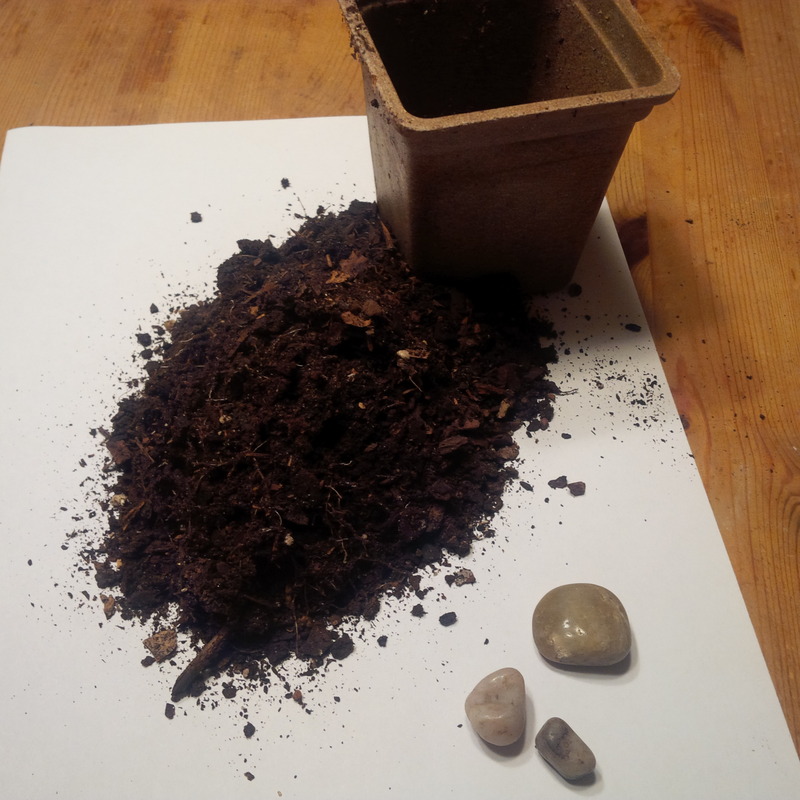 Start preparing pot with rather wet soil and rocks in bottom. 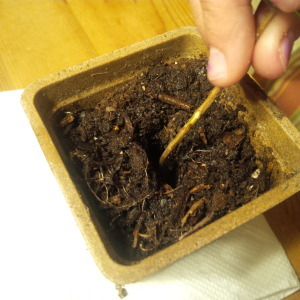 Place stem in dirt about 2-3” and pack dirt around. Water lightly, and keep moist every day. 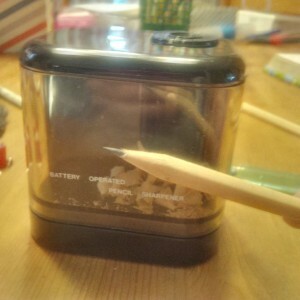 Make your electric pencil sharpener like new. 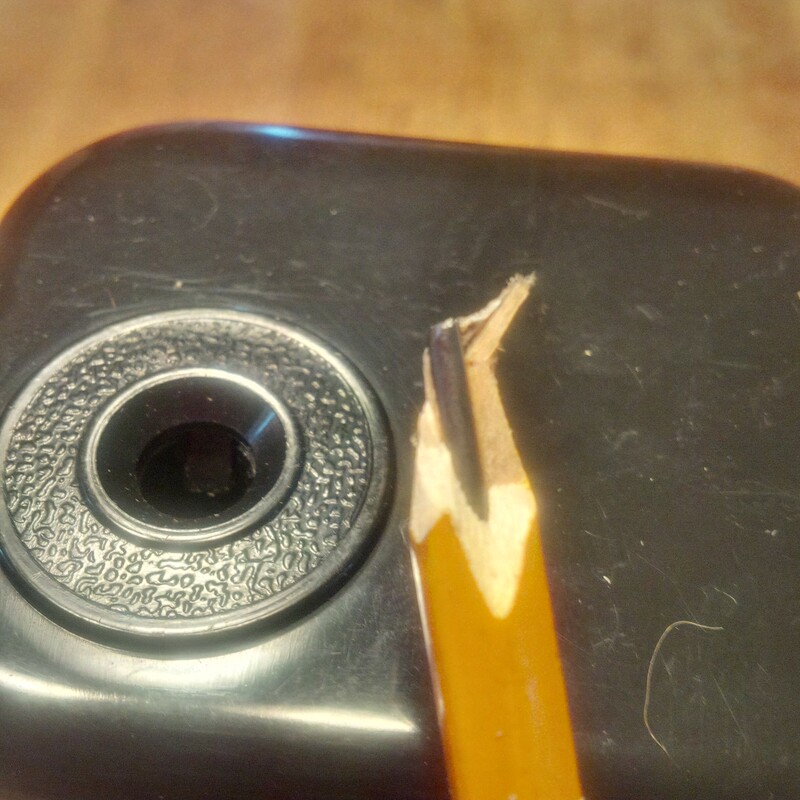 So the other day my daughter asked me to sharpen her pencil. This is what happened! UGH! 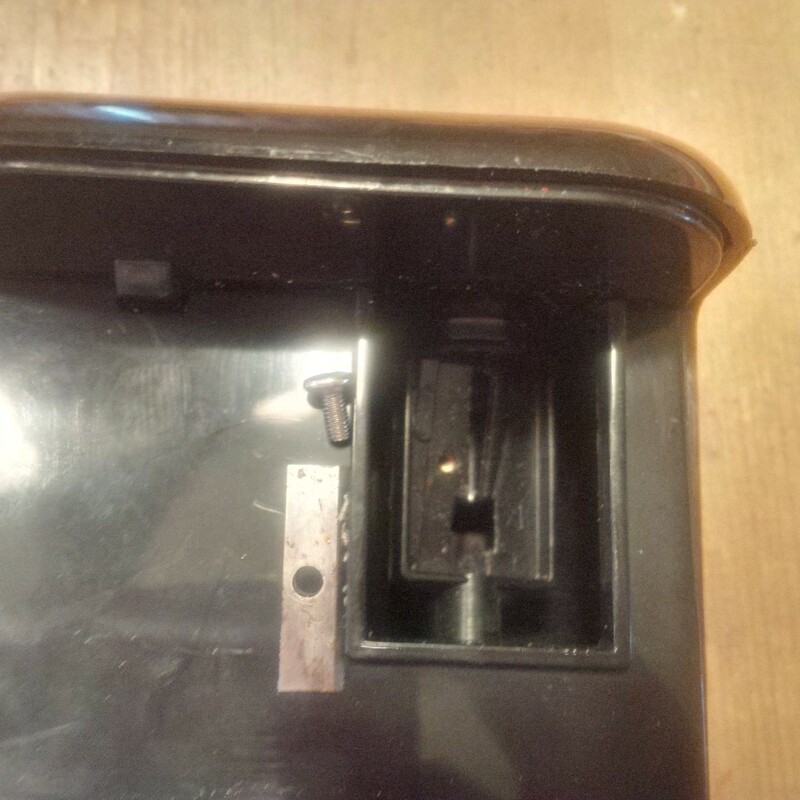 So before I chunked the whole thing in the trash, I did what any normal person would do…I took it apart. Now don’t get upset, really all I had to do was pull the drawer out and remove the one screw. You know what I found out? That old blade was not sharp and it was even rusty! 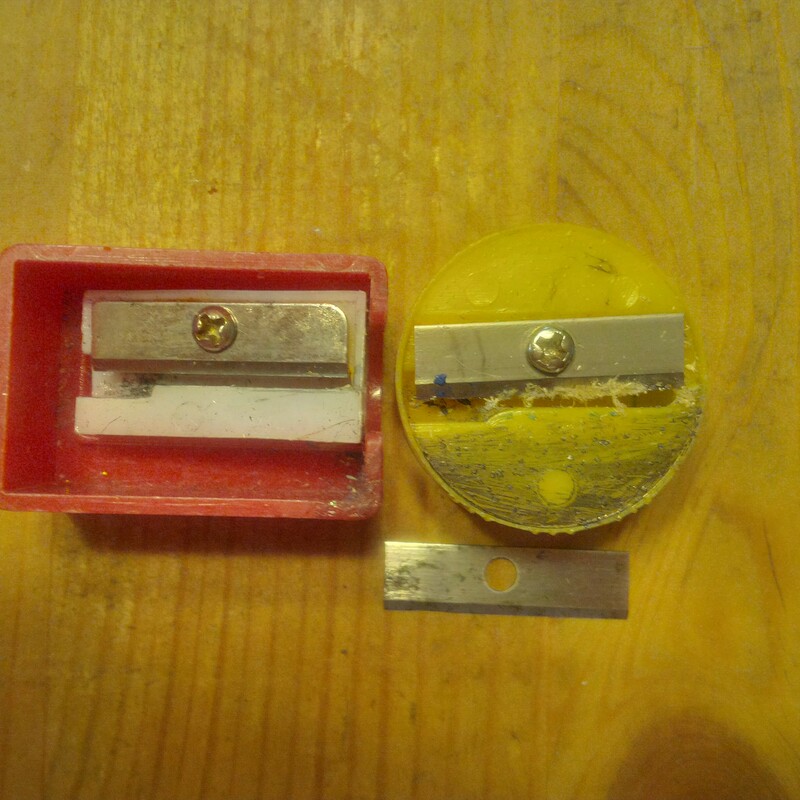 Here is what I did so that you can make your sharpener like new as well! Here are the things that I used for this little project. 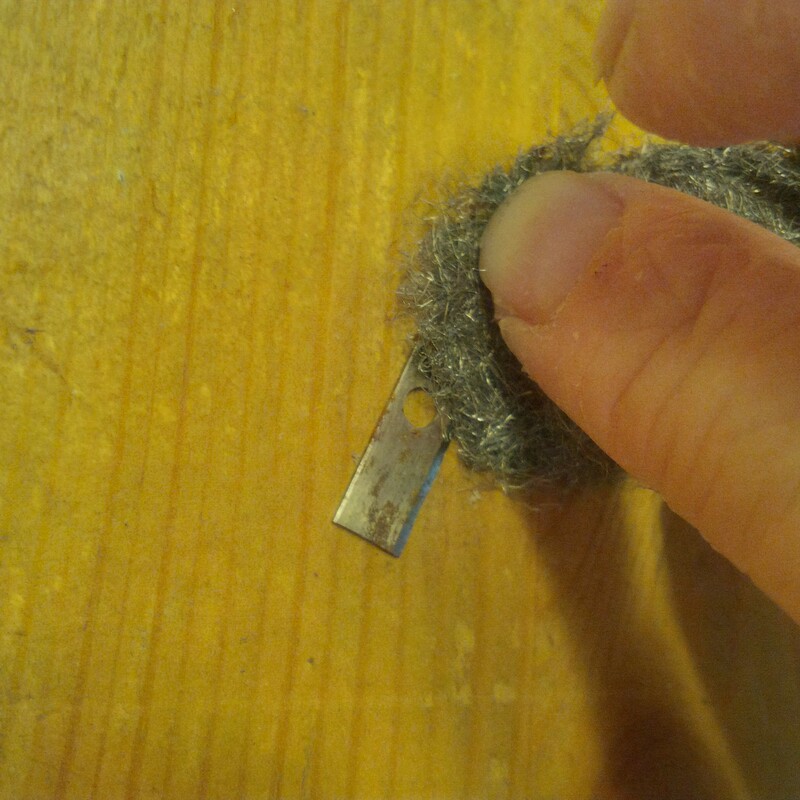 Small screw driver, tweezers, steel wool, new cheap handheld pencil sharpener. 1. 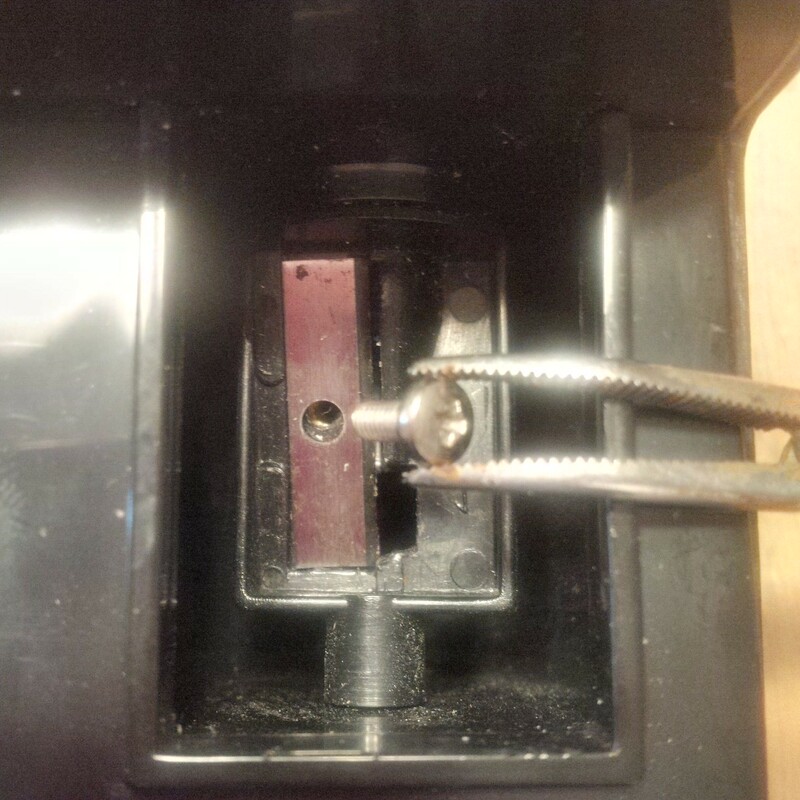 Find where your blade mounts in your electric pencil sharpener. For mine I had to take out the batteries for safety and remove the drawer that holds the shavings. With my broken pencil I gently turned the blade so it faced me. 2. Remove the screw and blade. This is where the tweezers come in handy. 3. You can try and clean it up and replace it if you think that will fix the problem, if not continue to step 4. 4. Grab some pencil sharpeners. 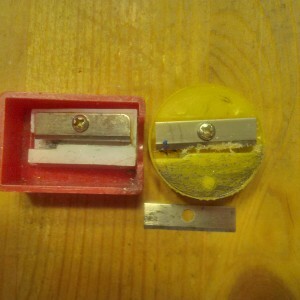 Those little blades are standard in all of the sharpeners I had. Meaning I can go and buy a blade replacement on Amazon 3/$8.99 or I can pick up one for $1 in the school stuff at Target and just use that as a replacement blade. I happened to have a few that were laying around and I knew worked well. 5. 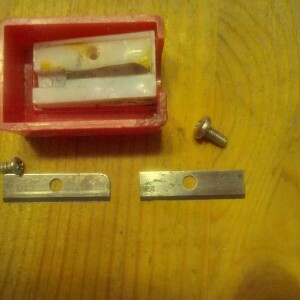 Remove the screw from the replacement blade. 6. Using tweezers, place blade and then screw into the electric sharpener. Look now! All sharp and ready to go. The whole thing took around 10min including looking for all of the stuff.